To celebrate the release of the 3rd official trailer for Star Wars: The Force Awakens, I have decided to upload a quick and fun blog post. First up, in case you are one of the two people who have not yet seen it, here is the newly released trailer for the film. 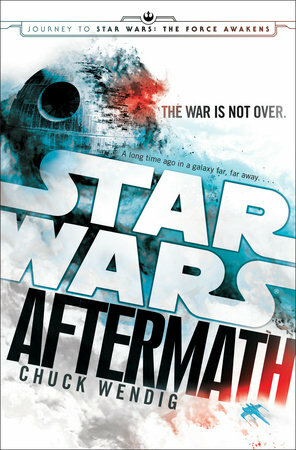 Next, I would like to highly recommend Chuck Wendig’s excellent Star Wars: Aftermath novel. This novel is part of “the journey to The Force Awakens” collection and its action picks up directly following the events of Revenge of the Jedi. 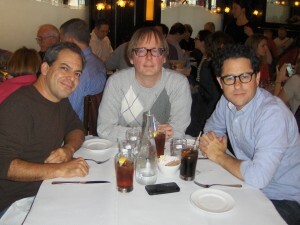 And finally, there are many new followers here at BOLO Books who likely missed out on my post covering my coveted lunch with J.J. Abrams back in the early days of this blog. Be sure to check out Doug Dorst, JJ Abrams, Balthazar and Me. Of course, any Star Wars talk that might have happened at this lunch was purely off the record and shall remain a blissful memory in my mind.